This article examines the improvements provided when multimedia information in traditional SCADAS are included in electric facility management and maintenance. Telecontrol use in the electric sector, with the fundamental objective of providing increased and improved service to the operators who manage these systems, is also described. One of the most important contributions is the use of an agent network that is distributed around the electric facility. 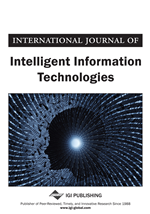 Through the use of multi-agent technology and its placement in embedded systems, to the authors design a system with a degree of intelligence and independence to optimize data collection and provide reaction proposals for the operator. The proposed agent-based architecture is also reviewed in this article, as are the design of an example agent and the results obtained in a pilot experience using the proposed hardware platform. Currently In modern times it is quite difficult to imagine a functioning domestic or industrial area that has no access to a reliable and continuous supply of electric energy. A good part of the comfort we enjoy in our homes, as well as a substantial part of industrial work output, are reliant on constant electric supply. As a result, it is absolutely necessary to guarantee a continuous and non-altering supply of electric energy at all times. In order for this supply to satisfy the needs of all who use it, the installation of a complex control and management device is required. Telecontrol allows this control and management to be carried out, therefore making it a very important mechanism which should be improved as much as possible. It will be possible to take advantage of the advances in new technology with these improvements, so that the decisions made in each moment are strongly supported by the most efficient telecontrol mechanisms. These telecontrol systems are managed by operators which execute commands and maneuvers. These operators have technical experience and are trained with specialization in handling these tools. They also have a vast knowledge of the electric distribution network they manage since the majority of them worked previously on the technical maintenance staff in these facilities. Over the last few years the majority of the electrical companies have externalized these maintenance services, which has led to a lack of new operators which possess detailed network knowledge. On occasion there have been people who have never seen the facilities which they manage which greatly increases the complexity of certain actions. In these cases SCADA systems become essential. The main aim of SCADA systems involves the supervision and remote control of devices, mainly sensors and actuators which are found in isolated and remote places (Boyer, 1999). The information being treated in these systems is usually processed in short frames which correspond to measurements and or specific states such as the state of the interrupters, tension levels, intensity, etc. As a result, technology that has been used traditionally is still adequate today for the management of the data of the device. This technology is so well-suited for the task that it will most likely continue to be used in the future. The man-machine interface is used to make the management of the SCADA network operation simpler. This interaction normally indicates the current state of the information as a chain of text. It is however possible to see, in some cases, a symbol or color that signals the current state of the device as well. The inclusion of audio and video multimedia in these SCADA systems provides added value for the operators in charge of productively using the systems by making them more intuitive and eliminating the necessity of being physically familiar with the facilities as images are displayed from a distance whenever the operator wants (Escudero, 2005; Romero, 2004). Likewise, they facilitate the communication and follow up for the maintenance staff at the facilities in the execution of maneuvers. The main aim of SCADA systems involves the supervision and remote control of devices, mainly sensors and actuators, which can be found in isolated and remote places. Information that these devices provide, for example the measurement of the intensity of an electric current on a power line, involves short information which is no longer than a few dozen bytes. As a result, technology that was traditionally used is still adequate today for the management of the device’s data, and will probably continue to be used in the future. Nevertheless, the transmissions and network technologies are among many fields that have spectacularly evolved over the last few years. Techniques involving information compression and the use of multimedia signals have also experienced notable advances in recent years. This has been brought about due to the modern day use of digital audio and video, which can be efficiently processed by PC systems at low cost. The digital audio and video is able to obtain good visual results of this information by using relatively low speeds to send the bits. Codecs such as MPEG-4 (ISO/IEC, 1991) make the compression of high resolution video signals at less than 1 Mbps possible.